How do I know if Shamanism is for me? How does Shamanism empower me and bring healing into my life? Shamanic practice helps us discover our purpose while changing old beliefs and attitudes that no longer serve, living a life of vitality and balance. As a Shamanic community we learn about co-creating the world we are dreaming into being, as we hold sacred space to support each other through the changes and growth in our lives. We learn how to co-create ceremony for healing together through weaving messages from the Spirits and our dreams. Can Shamanism be combined or practiced alongside other spiritual practices or religions? Shamanism is a spiritual practice and way of life that can be integrated with any other spiritual practice or religion. As the root of all religions, Shamanism was practiced by our ancient ancestors all over the world for thousands of years. Shamanic practitioners gain insight, teachings, guidance and healing directly from their helping spirits through Shamanic Journeying, or divination. In shamanic practice we connect with the teacher or guide within us to discover the deep well of wisdom within. Each Shamanic practitioner has a unique experience and connection to the spiritual realm. Shamanic practice compliments and empowers Reiki, Tarot, Buddhism, Astrology, Herbology, Divination, and many other spiritual practices. In Shamanic practice, we learn to create that which we dream through intending and through the guidance of our helping spirits, power animals and teachers. We create miracles through the power of our imagination, love, intention, strong belief and faith in our helping spirits. Experiencing such does, indeed, feel magical! Would Shamanism help me become a better healer? In the practice of Shamanism we learn how to become the ‘hollow bone’, making ourselves available to be a vessel for Spirit to move through and guide healing. From a Shamanic perspective, it is the Spirit’s who heal. Those called to become Shamanic Healing Practitioners learn and expand upon their healing modalities through the practice of Shamanic journeying, the most important tool for accessing the Spirits for information and healing techniques. Shamanism is complimentary to other practices that are a part of your life. A ‘Shaman’ is a practitioner of Shamanism that is sanctioned and recognized by the community for their healing work and the honourable ways they are being of service. The Spirits choose and sculpt the Shaman. In traditional societies, a Shaman may have been identified at birth, undergoing intense Shamanic Training by another Shaman, while others may have had near death or traumatic experiences in which they were initiated by the Spirits. How are the Heart Foundations of Shamanism trainings different from the previous existing “Basic Shamanism” training? In addition to the experiental learning of core shamanism tools, such as how to journey, participants now contribute towards our collective intention, relevant to who we are and this present moment in time. In the way of the circle, we recognize that each training participant is bringing pieces, such as questions, wisdom, teachings, heart yearnings, gifts, and healing needs, from Spirit that are informing us of what will unfold within each specific training. These trainings are now guided by a group of co-facilitators, alongside Martha Lucier (co-founder), whom have received their training through CCSS advanced programs. The training is taught by the circle, for the circle. As a multi-level training, participants of all experience levels gather in these trainings to exchange their wisdom and deepen in learning according to their own path. Participants with years of shamanic practice will walk away with as valuable as an experience as someone who is new to the practice. There is no set itinerary or agenda, except to follow the guidance of Spirit! Together, in living ceremony, we unveil the magical realm, as we awaken to our potential as dreamers and creator beings, utilizing our connection and power to co-create our world in beauty. How is CCSS training different from other shamanic trainings? Our trainings are a culmination of what we, as a CCSS collective circle, have learned in the advanced Two Year Training programs over the last 9 years. In other words, the students themselves have co-created, from the wisdom of their direct experiences, what is learned and explored in these trainings. We recognize that all training participants are bringing with them teachings and wisdom, and we invite all to fill their space in the circle with these gifts. Our focus is on building and nourishing life-long community through the way of the circle. Our connections as circle members continue to build long after a training program has completed through ongoing monthly conference calls, graduate circle gatherings, and web communications and support through our online community of www.PeaceVillages.com. CCSS offers intimate groups of training experiences in the heart of nature where we can venture and explore the rich teachings of the land. How does in-person training differ from online shamanic trainings? With our focus on building community in the way of the circle, we recognize that the sacred container of the circle is built with tangible trust. When we physically gather in circle, we open up to empowering teachings through our interconnectedness that can only be learned and understood through heart-to-heart experience. Each training is a “living ceremony”, in that from the beginning to end it is filled with spiritually guided activities, learnings and experiences that are sacred and unique to all the circle members of that specific training. And through the awareness of living in this extraordinary reality, we unveil an abundance of miracles and magic to be found in every gifted moment. 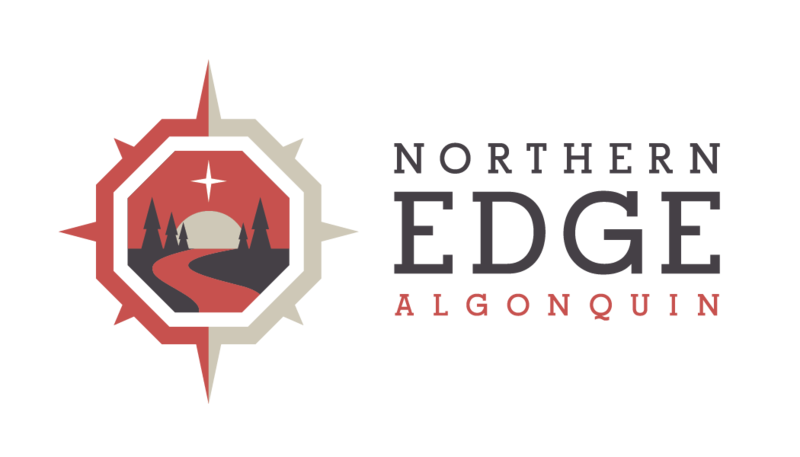 When we gather at Northern Edge Algonquin Retreat and Awareness Centre, we unplug ourselves from our distractions so that we can enter into the gratitude of the present moment, and suddenly we find ourselves coming home to ourselves as we align with the soul of nature. Do you offer Ayahuasca Retreats? CCSS does not specialize in plant medicines such as ayahuasca, therefore, we do not offer ayahuasca retreat experiences. Some who initially contact CCSS with this inquiry find out their deeper heart calling is connected to what our centre does specialize in – teaching core shamanism tools that empower our participants to communicate with their spirit helpers and teachers – so they can find all answers to questions and healing within in their daily lives. If you came to our website in search of an ayahuasca experience, we invite you to explore our Heart Foundations of Shamanism to find out if these trainings can help answer your deeper heart calling in building a strong spiritual foundation in your life. This training would also help you prepare for any future ceremonial experience, such as with ayahuasca. What is the itinerary of the training/program? We do not have fixed itineraries for our programs, for the reason that we intentionally leave room for Spirit to guide and adapt the unfolding of each program to meet the needs of each person who is attending. I can’t afford to attend a retreat. What are my options? We have many opportunities for financial support: View details.